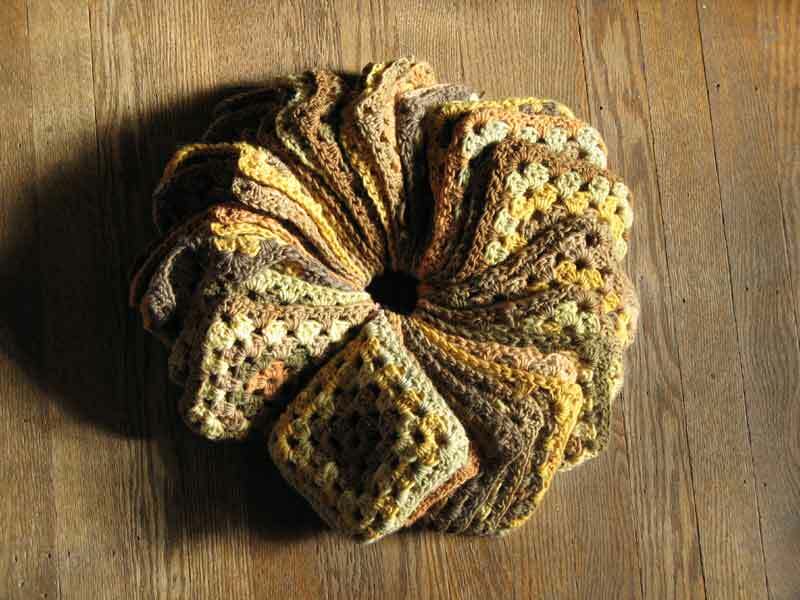 History of the Granny Square! I’m so excited! I’ve found evidence of how far back Granny Squares go! I’ve been researching them in an attempt to place them in history. Clearly they have a revival at the moment and I know they were huge in the 70s, but where did it start? I’ve done a bunch of research on the net and can’t find out anything about the history of them before the 70s… until now! I was looking through a book I’ve got which is a reproduction of a number of crochet newsletters stuffed full of patterns from a company called Weldons from the mid 1800s. Right at the back, there’s a pattern for “Patchwork Squares”, which has a little blurb at the top describing how useful these are for using up scraps of yarn you might have, and how they’re great for rugs, baby’s blankets and the like. Breathless I turned the page to see if I could find an illustration and there, on the next page, was a handsome black and white engraving of… a granny square! Wow that's amazing! I've been trying to find out the history of the granny square for a little while now and have found nothing. This is very interesting. wow, this is really awesome !! I am currently working on an ebook project with several granny square patterns, and of course am wondering about the origins of the GS..
with a new introduction by Florence Weinstein." it's a copy if a bunch of crochet patterns from circa 1895.